A world made for PS Move, MaKey MaKey, and Phidgets. Made in under 3 weeks with a team of 6. “What The Fun” is a game for 2-5 players; 1 player is the factory operator while the others play as toys. 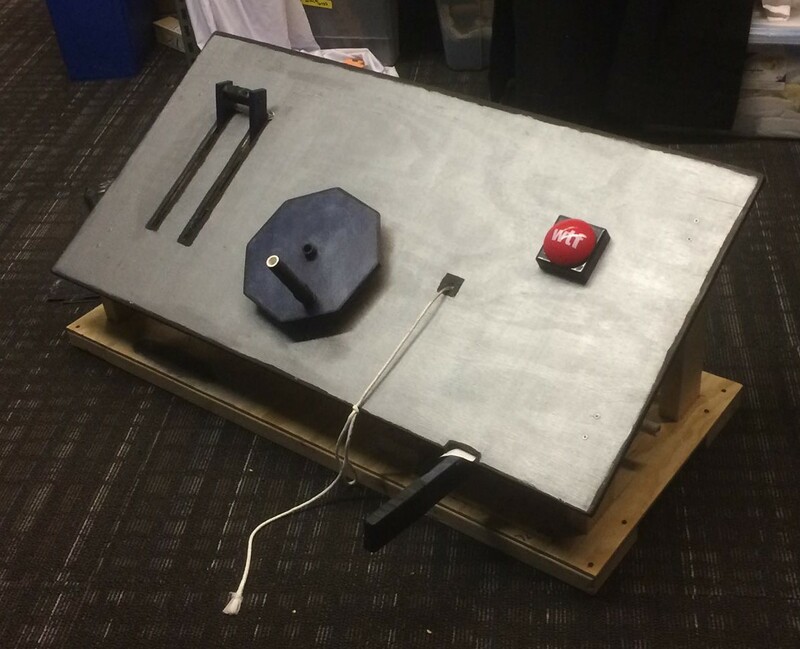 The toy players run and jump in place to navigate through the quality assurance test arena, while the operator uses a large, physical control board to trigger traps throughout the arena. The goal of this project was to create a fun, engaging world for an open-house style festival environment. Custom console built by the team. The central rotating wheel uses a Phidget rotation sensor, while the levers, pull-string, and button use MaKey MaKey triggers.